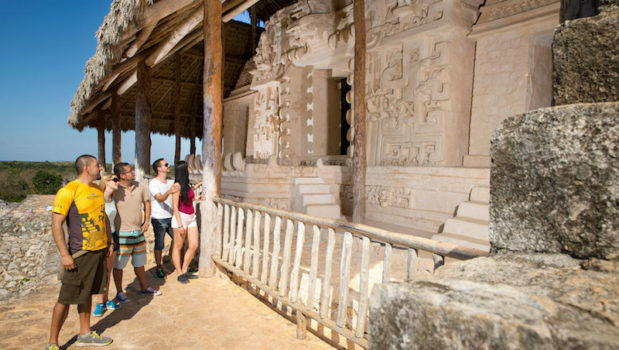 One of the least explored archaeological sites in the Yucatan Peninsula, Ek Balam is known to have a mystical charm. It has become popular in the past years due to its most recent restoration works. So if you are into history, this is the best site to visit! Then, you will discover the biggest cenote in the area; Cenote Maya, a great natural wonder with stunning rock formations. 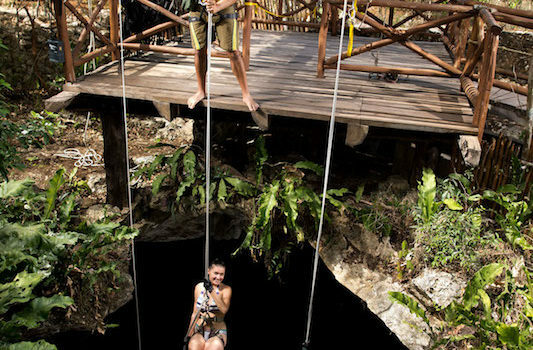 A full day of adventure, feel the adrenaline of rappelling, zip lines, ropes, swimming and diving in this beautiful cenote. 10:00 – 10:30 Arrival to Ek Balam or Cenote Maya Park. Ek Balam 2 hours guided tour and free time. 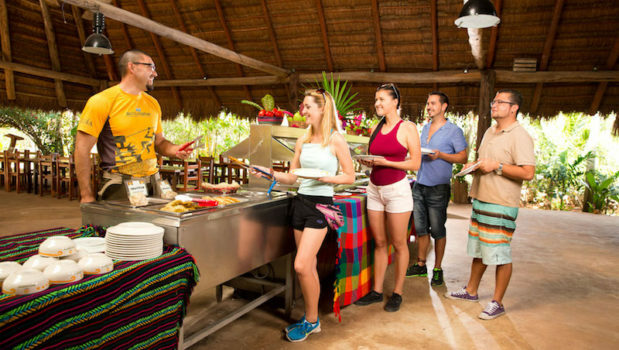 Transportation for small groups, lunch, bottled water, entrance fee to Ek Balam, archaeological tour guide, english speaking guide for all day, equipment required for all activities at Mayan community, towels and lockers. Comfortable clothes and shoes, bathing suit, camera, and cash for incidentals.